ARE YOU TEAM ELECTRIC OR TEAM SMOKEY? NYX COSMETICS HAS GOT YOU COVERED! Hi there, my darlings! When it comes to eye makeup, I prefer a bold, bright look...or a seductive, smokey look. Really depends on my mood! Either way, I look for pigmentation and ease of blending when choosing my favorite eyeshadow palettes--I always reach for the tried and true that works with little to no effort. Add to that, defined brows, lots of eyeliner and tons of mascara and you have my usual eye makeup routine. 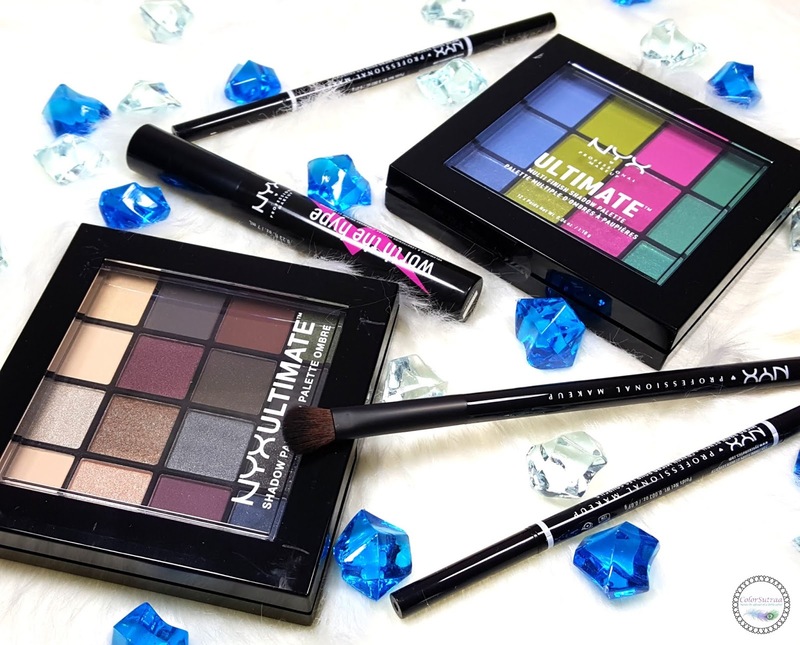 In pursuit of that perfect, eye-catching eye makeup routine, NYX Cosmetics has just added to my arsenal in a big way and today, I'll be sharing some new products that have blown me away! Take a look! Available in 8 shades, Espresso (left) and Brunette are shown below. When NYX says ultra-thin, boy do they mean it! 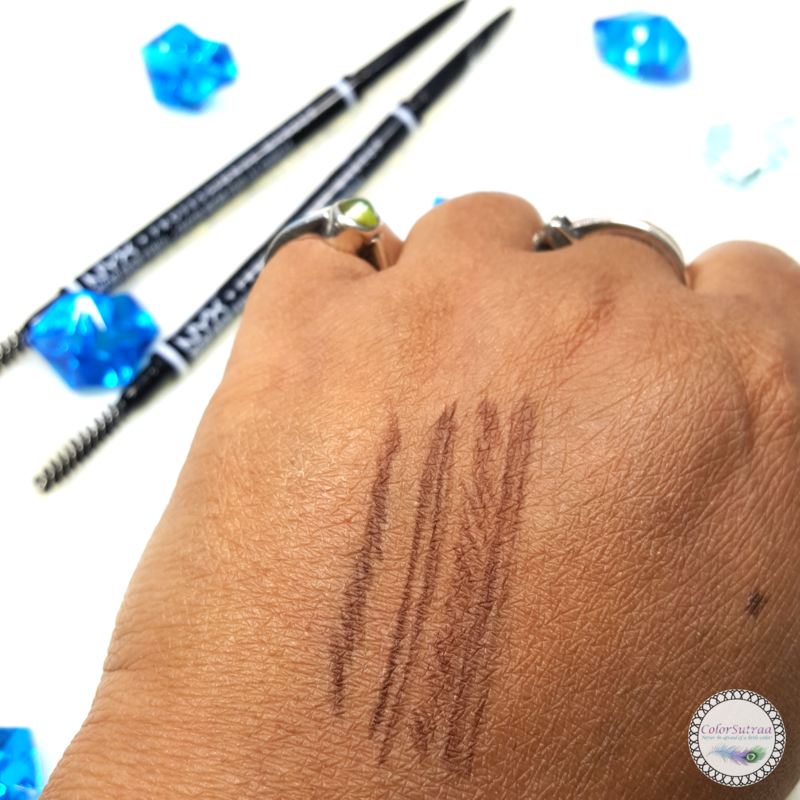 I'm so impressed with the fine tip that lets you mimic fine hairs to fill in your brows. These pencils are quite firm, so you won't have to worry about breakage, but do be gentle--the firmness didn't cause me pain, as with some others I have tried recently, but I would still recommend a lighter hand. We named this collection the Ultimate Shadow Palette because that’s exactly what it is—a pro-level palette packed with 16 high-performance eyeshadows and pressed pigments in a rainbow of tone-inspired shades. Available in four striking color combinations—Neutral-Cool, Neutral-Warm, Bright and Smokey/Highlight—each set features a vivid mix of velvety-rich textures and mesmerizing finishes that range from mattes and satins to shimmers and metallics. Don't let this unassuming palette fool you! This is by no means a boring neutral palette and some of the shades pack quite a punch when it comes to pigmentation! I particularly love the metallics and shimmers but even the mattes are great for my skin tone. The range and variety of shades packed into this one, little, travel-friendly palette is even more impressive to me. Needless to say, I'm definitely adding this to my regular makeup rotation ASAP! Oh and the Brights palette WILL be mine too! Oh, I can't even describe my joy when I encountered this little beauty! All of you makeup-loving readers probably know exactly what I'm talking about--you know, that moment when you meet a product that immediately speaks to your soul? Well, this baby is one of them! Not only are these shades super pretty but they are so easy to work with--every shade applied velvety smooth and with such intense pigmentation. Yes, even the mattes! In short...I'm in LOVE! Gear up like a pro and add your own expert touch to every look with the NYX Professional Makeup Pro Shading Brush – a dense rounded brush that is perfect for applying, smudging and blending product on the eyes. Made with synthetic fibers. This is my first time trying a brush from NYX and if this one is anything to go by, I'm pretty impressed. I like the sturdy handle and the soft brush fibers. Moreover, it picks up pigment very well and blends seamlessly. Really, no complaints here! With a name like that, expectations are immediately raised...and NYX doesn't disappoint! 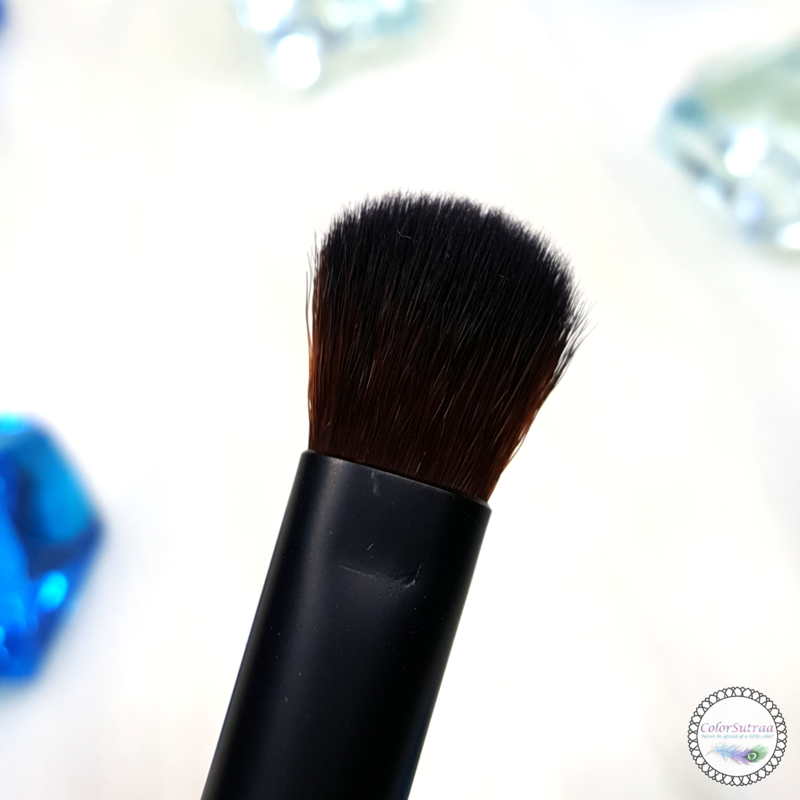 The thick brush allows you to sweep on lots of product, which I like, without clumping or making a mess. 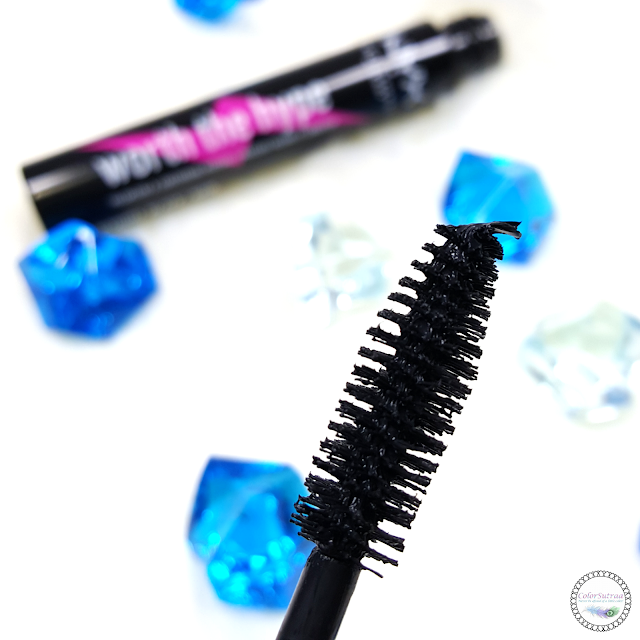 As for volume and length, this mascara delivers both with great results! So glad to have found an affordable substitute to my recent MAC mascara addiction! So there you have it, my darlings! NYX products are available at fine retailers and mass merchandisers nationwide, such as your CVS, Target and Ulta, across the US. To find a retailer near you OR to purchase online, please visit NYX's website HERE. Shipping is free with a $25 order within the US. For us Canadians, NYX products are found in select stores, such as your local Shoppers Drug Mart, or online HERE. Shipping is free with a $30 order within Canada. Are you Team Electric or Team Smokey? Tell me in the comments section below! It all looks so tempting. Gotta see if they have a redhead brow pencil. 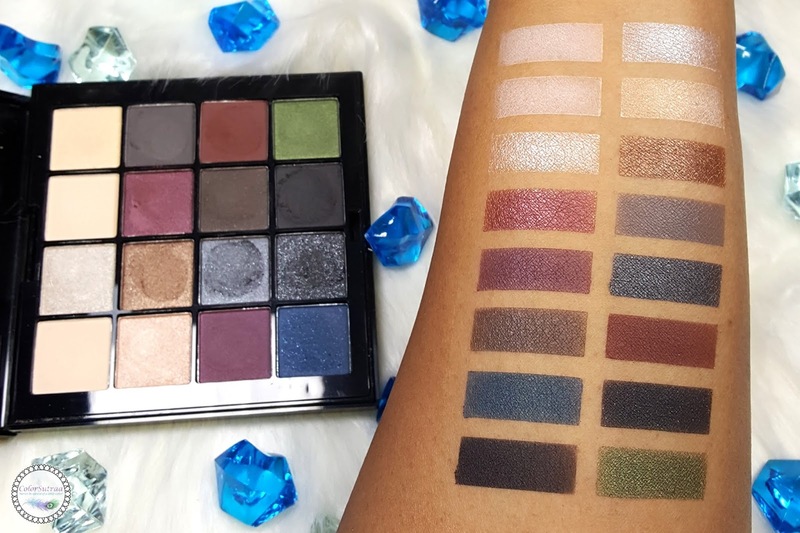 Love your swatches for the Smokey palette - the shades are pigmented and gorgeous! Team Smokey for sure - your swatches convinced me! These eyeshadow palettes look so nice and pigmented! I love your swatches! I'm so going to need to get that smoky palette soon, it's so gorgeous. Your swatches are absolutely amazing, and both palettes are very pretty! 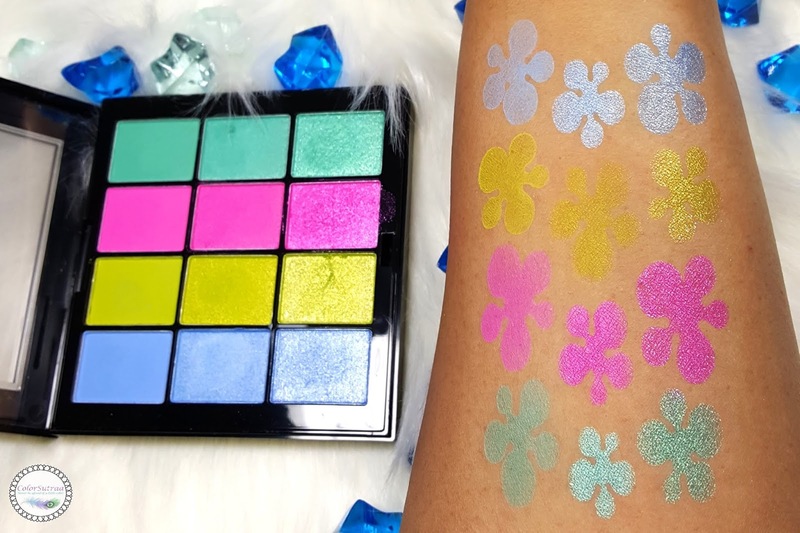 The brights palette looks like so much fun!